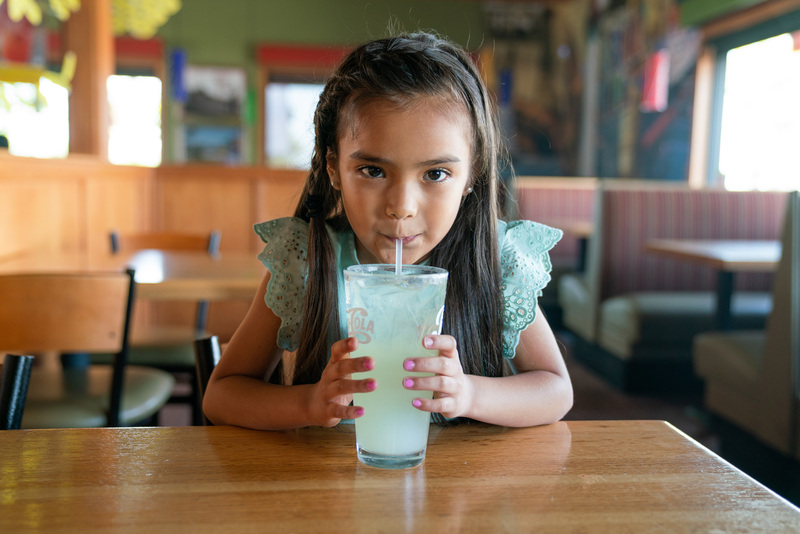 GLENDALE, Calif., July 10, 2018 /PRNewswire/ -- Applebee's® Neighborhood Grill + Bar restaurants nationwide have teamed up with Alex's Lemonade Stand Foundation to take a stand against childhood cancer in a month-long fundraising campaign. Now through Sunday, August 12, more than 1,050 participating Applebee's restaurants aim to raise $1 million to help fund cutting-edge medical research. Restaurants will raise money in a variety of ways including donating a portion of lemonade sales, selling paper lemons and hosting a series of fundraising events in their neighborhoods. Guests can visit Applebees.com/AlexsLemonade to learn more, find participating locations or donate online to help Alex's Lemonade Stand Foundation put an end to childhood cancer. 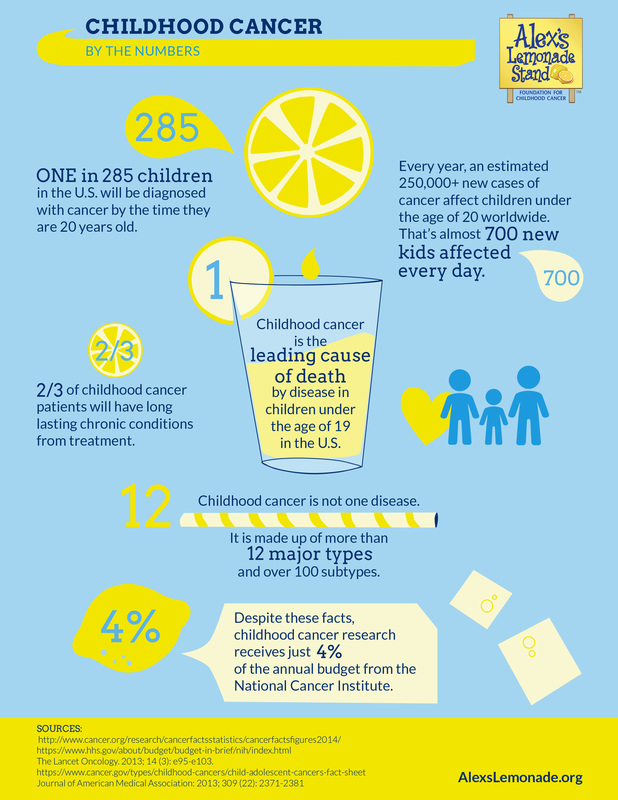 One in 285 children will be diagnosed with cancer by the time they turn 201 and yet pediatric cancer research is vastly and consistently underfunded. When one child is diagnosed with cancer, it touches their entire community. This is Applebee's 14th year supporting Alex's Lemonade Stand Foundation and helping neighborhoods and communities impacted by pediatric cancer. Go to Applebees.com/AlexsLemonade to watch a video that illustrates how guests' donations have made an impact on the fight against childhood cancer and spotlights one childhood cancer hero who, like thousands of others, the Foundation helps every day. 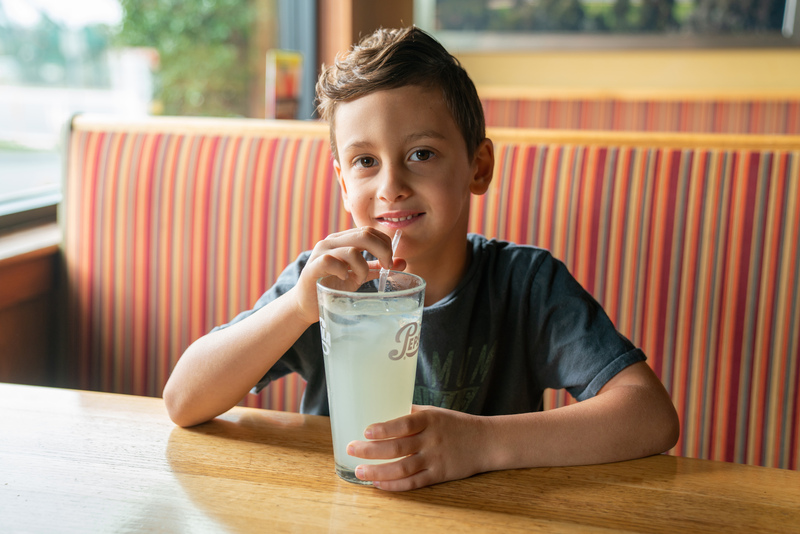 "Since 2005, Applebee's restaurants have raised more than $8.2 million for Alex's Lemonade Stand Foundation, and we are driven to bring that total to more than $9.2 million this year," said John Cywinski, president, Applebee's. "Our franchisees and team members are incredibly passionate about Alex's mission, and it's wonderful to see everyone come together to support a cause that's so important." "Applebee's continues to be a dedicated partner for the Foundation. With all of the work they've done over the years to help us in our goal to find a cure for pediatric cancer, they've become part of our family," said Liz Scott, co-executive director, Alex's Lemonade Stand Foundation and Alex's mom. "We could not express how thankful we are for the role that Applebee's team members and guests play in helping our Foundation find new cures and support our hero families." Purchasing lemon-shaped pin-up cards in $1 and $5 increments. Guests who donate $5 will receive a thank you card entitling them to a free lemonade or free kid's meal during their next visit, or $5 off $25 at Applebee's restaurants or online orders, from August 12, 2018 through September 30, 2018. Purchasing a Lemonade Quencher made with real fruit or other frozen or flavored Lemonade refreshment to have a portion of the proceeds donated. Participating in local events such as lemonade stands, golf tournaments, donation nights and more. Visit Applebees.com/AlexsLemonade to find participating locations or to donate online to help Alex's Lemonade Stand Foundation put an end to childhood cancer. Statements contained in this press release may constitute forward-looking statements within the maning of the Private Securities Litigation Reform Act of 1995. You can identify these forward-looking statements by words such as "may," "will," "should," "could," "expect," "anticipate," "believe," "estimate," "intend," "plan" and other similar expressions. These statements involve known and unknown risks, uncertainties and other factors, which may cause actual results to be materially different from those expressed or implied in such statements. These factors include, but are not limited to: the effect of general economic conditions; the Company's indebtedness; risk of future impairment charges; trading volatility and the price of the Company's common stock; the Company's results in any given period differing from guidance provided to the public; the highly competitive nature of the restaurant business; the Company's business strategy failing to achieve anticipated results; risks associated with the restaurant industry; risks associated with locations of current and future restaurants; rising costs for food commodities and utilities; shortages or interruptions in the supply or delivery of food; ineffective marketing and guest relationship initiatives and use of social media; changing health or dietary preferences; our engagement in business in foreign markets; harm to our brands' reputation; litigation; fourth-party claims with respect to intellectual property assets; environmental liability; liability relating to employees; failure to comply with applicable laws and regulations; failure to effectively implement restaurant development plans; our dependence upon our franchisees; concentration of Applebee's franchised restaurants in a limited number of franchisees; credit risk from IHOP franchisees operating under our previous business model; termination or non-renewal of franchise agreements; franchisees breaching their franchise agreements; insolvency proceedings involving franchisees; changes in the number and quality of franchisees; inability of franchisees to fund capital expenditures; heavy dependence on information technology; the occurrence of cyber incidents or a deficiency in our cybersecurity; failure to execute on a business continuity plan; inability to attract and retain talented employees; risks associated with retail brand initiatives; failure of our internal controls; and other factors discussed from time to time in the Company's Annual and Quarterly Reports on Forms 10-K and 10-Q and in the Company's other filings with the Securities and Exchange Commission. The forward-looking statements contained in this release are made as of the date hereof and the Company assumes no obligation to update or supplement any forward-looking statements.